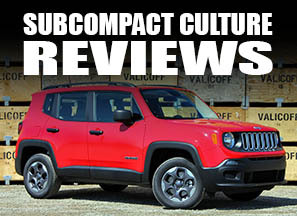 We've big fans of the Jeep Renegade, and that's no secret. 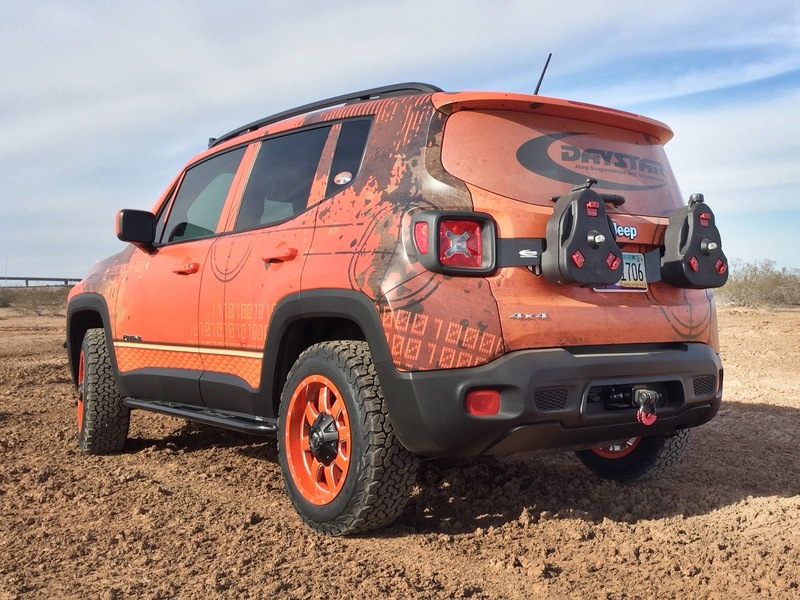 So we were pretty stoked when we heard Daystar has released a bunch of Renegade-specific off-road accessories. The most interesting accessory is the winch bumper, which can house a 9,000-lb. capacity winch—far more than the vehicle would even need. It would allow the Renegade to pull heavier vehicles than itself, though. Buyers can also attach a light bar to the bumper to mount off-road lights. Other products include rock sliders to protect the Renegade's rocker panels, a 40-inch light bar kit, which mounts to the OE roof rack, and a tailgate-mount for the company's popular Cam Can System as seen below. Many of these parts happen to be made in the USA, too. FYI, the company also makes a 1.5-inch lift kit, as shown above. It's great to see this little subcompact CUV getting the aftermarket treatment. And if sales continue on as well as they are, the Renegade aftermarket could heat up as the vehicle flies off of dealer lots. I love the Renegade! These accessories are exactly what the vehicle needs to take it to the next level of performance. It's just a shame that Jeep didn't equip the Trailhawk version with the low range planetaries nor the rear differential lock from the Cherokee. With open diffs and too-tall gearing, the Renegade will always be prematurely limited in its offroad capability.